The Boveda Suite is named for the boveda ceiling in the sitting room. Boveda ceilings are domed brick ceilings and they are made by hand, without scaffolding. The suite is on the main floor of the house and finished in the colonial style and the materials were all sourced locally. Both rooms have doors that open to a central courtyard. 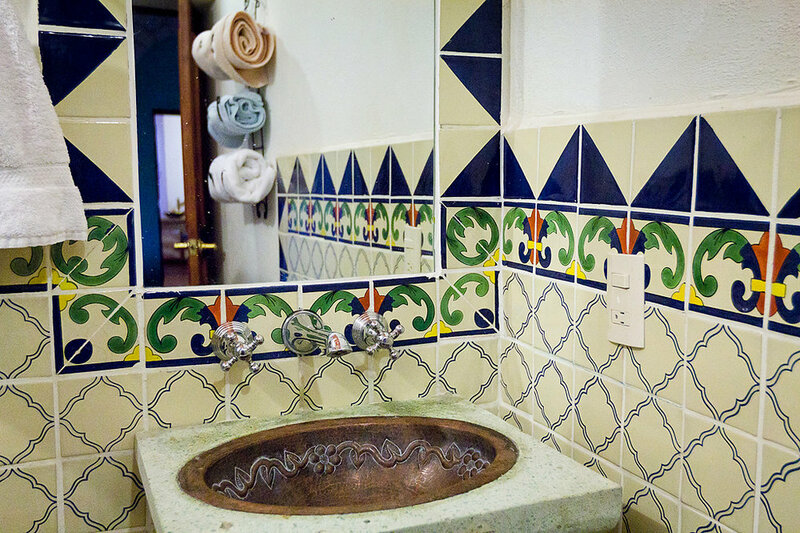 A small fountain is outside the bedroom door. The suite features a king-sized bed with luxury bedding. There is a small sitting area in the bedroom and a comfortable study desk in the living room. It features a private bath, a mini fridge, microwave, and coffeemaker. The door opens up to a small patio, with views up the callejon, and easy access to the roof garden.